6/79. Detroit, Michigan. 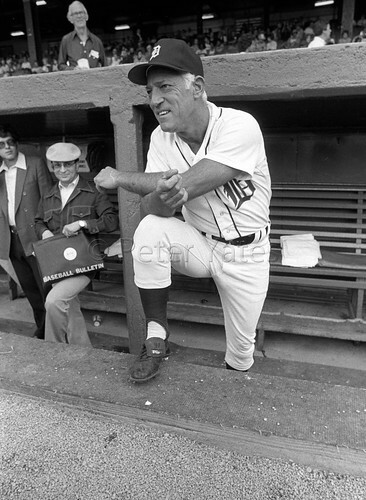 Detroit Tigers manager Sparky Anderson in the dugout before a game with the Red Sox at Tiger Stadium. Photo by PeterYates.